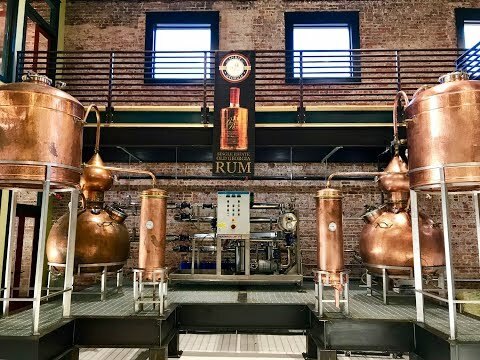 Besides the original Richland Rum distillery in Richland in SouthWest Georgia, Richland Rum has opened a second distillery in Brunswick. Both distilleries use the same small copper pot stills to create the authentic rum that the founder set out to create around 20 years ago. Richland Rum is made from Georgia Grown sugar cane, cultivated at Richland Estate, the farm of the Richland Rum owners. Therefore Richland Rum is the only Single Estate Rum made in the USA. Georgia soil, abundant sunshine and rain, make for an excellent terroir and brings out the exceptional quality and flavor of the Rum. Named Best American Rum by Forbes in 2018 and by Robb Report in 2017, Richland rum is truly one of a kind, a unique sipping rum, like a bourbon or a cognac. Come see for yourself, the distillery is open for tours and tastings Monday - Saturday 10:00 - 6:00pm.